The composite culture of India incorporates Mass Communication and Journalism in all its languages and regions. Education in this field made its advent through western influences via English colonial efforts. Mass Communication and Journalism education assumes new significance in the age of globalization and communication. In the Indian sub-continent, Punjab University was the first to offer a journalism course. In India, education and training in Mass Communication and Journalism is about 60 years old. In India at present some 60 Universities, 25 agricultural universities and 100 private institutions annually train about 2000 students in various aspects of Mass Communication and Journalism including reporting, editing, photography, videography, printing, designing, advertising, public relations and so on. Especially agricultural universities are imparting training on farm communication, extension education and development communication. Most of the universities and colleges have provided infrastructural facilities and manpower in audio-visual communication field also to some extent. Dept of Mass Communication will set global standards for media education, research, extension and training, using state-of-the-art technology for building a knowledge driven information society, contributing to human development, empowerment and participatory democracy, anchored in pluralism, universal values and ethics. Introduction and promotion of the latest techniques and skills in the discipline. To provide students with learning skills. To acquaint students with the perspectives of Mass Communication as a science of communication study. To familiarize students with the different approaches to and concepts of media studies. To enable students to see mass communication from the inter-disciplinary erspectives. From the Academic year 2017-18 we have Introduced the paper "Mass Communication and Journalism" in our Institute. HOD and Associate Professor, Department of Mass Communication and Journalism , Karnataka State women’s University, Vijayapur (V.C. Nominee). Assistant Professor, Department of Mass Communication and Journalism, Maharaj College, Mysore University, Mysore( A.C.Nominee). 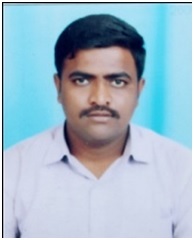 HOD, Department of English, Lingaraj College, Belagavi ( Member ). 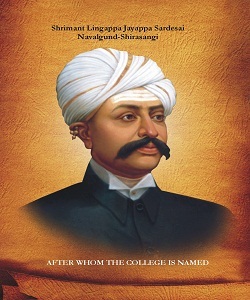 HOD, Department of Kannada, Lingaraj College, Belagavi ( Member ). Department of Kannada, Lingaraj College, Belagavi ( Member ).